George Paterson, Head Greenkeeper at Fortrose & Rosemarkie GC, has had first-hand knowledge of Wiedenmann Terra Spikes for over 20 years. 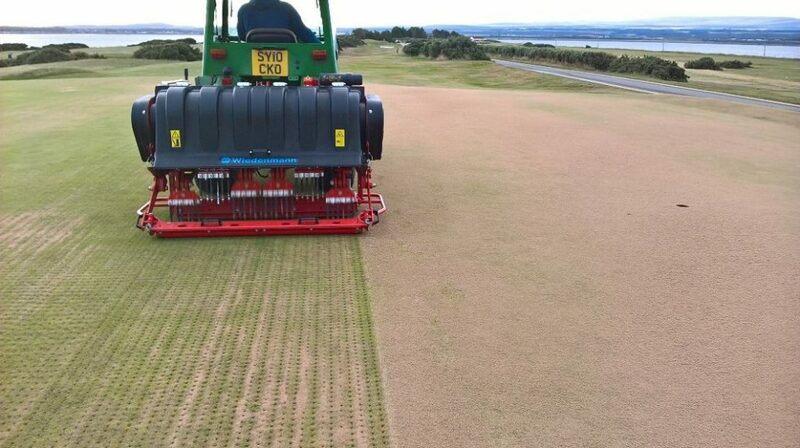 In past roles at Rosses Point, County Sligo GC and Lossiemouth GC, he has used an XP, a Greens Terra Spike and a GXi8 HD. 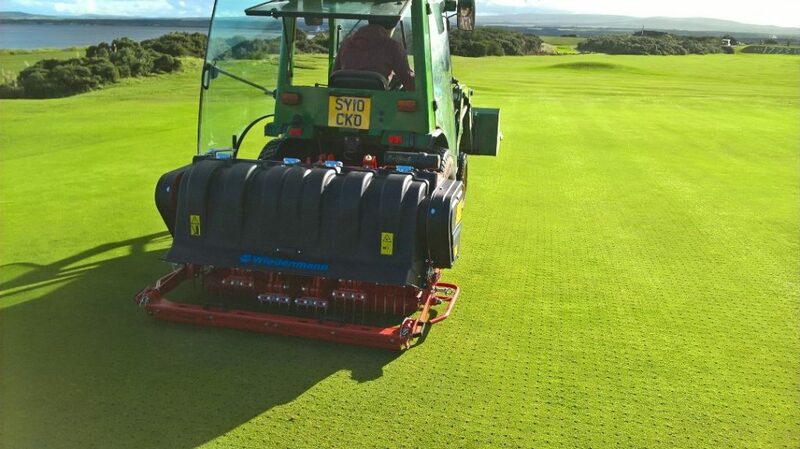 Now for the last 12 months he has been working with both the super light SL6, Wiedenmann’s smallest aerator in their fleet, and the deepest, the 40cm XP. The Black Isle club, is just 20 minutes north of Inverness and in 2018 was named ‘Golf Club of the Year for Scotland’ in the Luxury Travel Guide Lifestyle Awards. A Championship links course, it is the 15th oldest recorded club (1793) and was redesigned by the legendary James Braid in 1932. At 1.4m wide, the SL features an innovative cover, one of several bespoke features designed to keep the SL’s weight to just 470kg. An updated version of Wiedenmann’s patented TwinDrive takes up less room and moves the centre of gravity closer to the tractor. A built-in tine return system and additional shock absorbing facility make it noticeably distinct to other Terra Spikes. “With both the XP and the SL6 we’ve got aerators at the opposite ends of the Wiedenmann scale, so best of both worlds pretty much,” concluded George.